Easter is a holiday favorite for a lot of people. 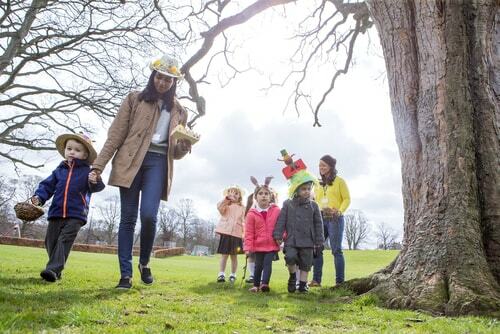 Who doesn't love a good egg hunt or ham dinner? Though it's a lighthearted holiday that doesn't hit the bank nearly as hard as a holiday like Christmas, those who are on a tight budget should still be careful. Collectively, Americans are expected to spend billions of dollars on Easter accessories and goodies this year alone. If you're still paying off a credit card balance or payday loan, Easter should be approached with a bit of financial caution. 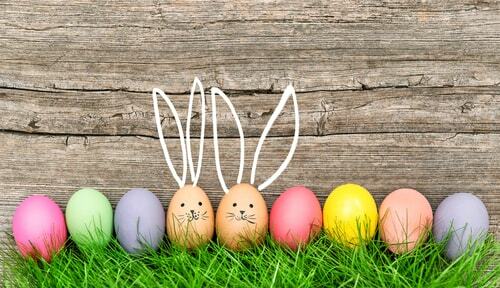 Here are 7 smart ways to cut the cost of celebrating Easter! You may be tempted to buy new Easter outfits for the kids this year, but if you're trying to save money, it's better to simply use what you already have. But if you don't have outfits to recycle or hand me downs, you could always find great Easter Sunday outfits at discount department stores such as Ross, T.J. Maxx or Marshalls. You may also be pleasantly surprised to find perfectly good Easter outfits at your local Goodwill store. You may be able to use payday loans near you to get you through a rough spot, but with a little planning and just a pinch of practicality can help you celebrate with more bunny for less money. There's no point in buying new Easter baskets year after year, so recycle last year's baskets or buy them second hand. The kids don't care about the baskets nearly as much as what's inside them. If you didn't save last year's baskets, be sure to save the ones you buy this year. Easter isn't really a "decoration" holiday. Sure, you could pick up an inflatable Easter bunny and decorate your house in pastel colors, but it's really not necessary. However, if decorating is a must for you, you could always reuse the plastic eggs, placemats, and centerpieces from previous years. You could even get creative and make some Easter décor of your own. There's a ton of ideas to draw inspiration from on Pinterest or YouTube, but if you're not feeling very crafty, head to the dollar store. 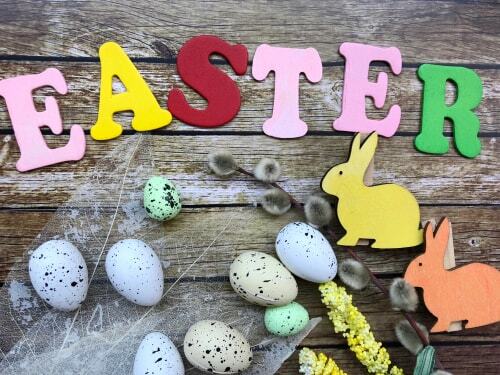 You'll find plenty of Easter decorations for discount prices. Taking a picture with the mall Easter Bunny is a tradition for many families. If you want to get a picture of your kids with the Easter Bunny but don't want to shell out the cash, ask the photographer if you can take a picture on your phone. If there's no line, they probably will let you do it. Check your local events calendar to see if any civic groups, churches or other organizations are holding an Easter egg hunt this year. These festivities are typically free and your kids can have a great time filling up their Easter baskets without you having to spend a dime. As for filling their baskets with goodies, skip the grass. It's messy, it costs money and it'll just end up in the garbage soon enough. For candy, look for discounts and coupons. You might even find one big bag full of fun-sized candies for one low price. Plus, these big bags of candy usually come in different varieties. Throw in some jelly beans and a chocolate bunny and you're all set! Keep dinner simple. Just because it's a holiday doesn't mean you have to treat the meal like it's Thanksgiving all over again. Make a ham, a couple of sides and you're done. Keep celebrating Easter as light as the pastel colored eggs in your basket and you should have no problem keeping your budget in line. The key to saving money is to not overdo it around the holidays. You can even apply some of these ideas to the rest of the holidays coming up. Just keep it simple and watch your savings grow! Related: It's never too early to start preparing for the holidays! Here are 4 joyous tips to assemble a Christmas budget.